Add a live Voice Changer to PlayerUnknown's Battlegrounds. Proximity Voice Chat has never been so Funny. Voicemod Voice Changer app is the best way to trolling on PUBG voice chat. Change your voice and create some hilarious and funny moments with proximity chat and teammates in PLAYERUNKNOWN'S BATTLEGROUNDS. 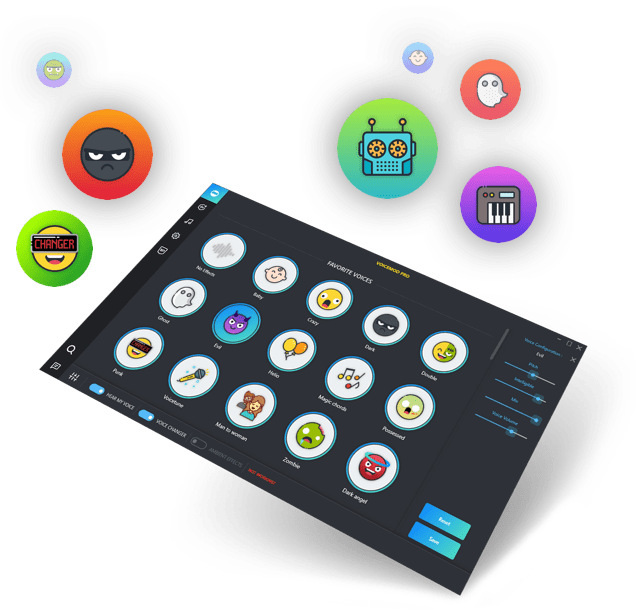 With oodles of amazing voice effects like female/girl, scream, robot, pitch, deep, magic chords, harmony and much more... With Voicemod you can change your voice in real time and life epic moments with your friends while you play online.